Well, it’s that time again. Another year has gone by and as of today, we’re officially five years into this crazy full-time RVing thing. Five years! Can you believe it? 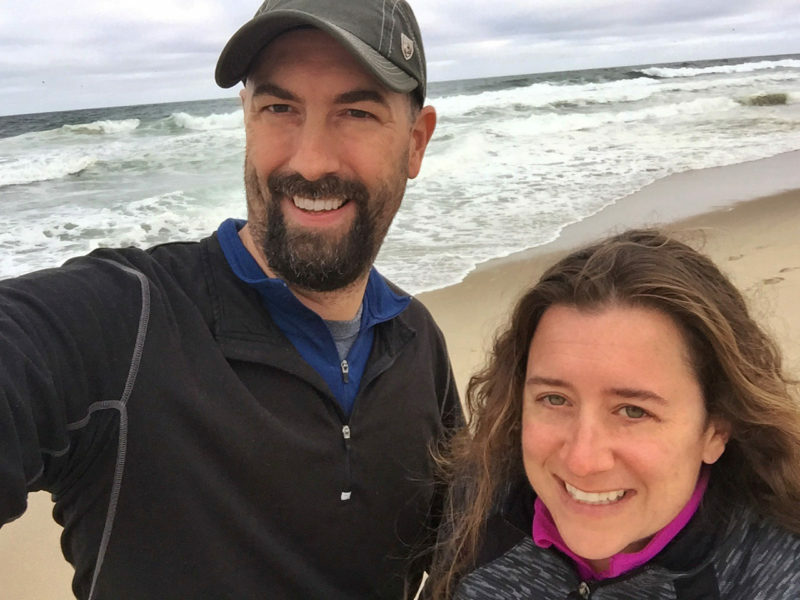 In the past, we’ve always celebrated our “On the Road” anniversaries with blog posts that express gratitude, share wisdom, and speculate on the future. But this year when we sat down to talk about the five-year post, we both drew a blank. Should we summarize the past five years? No, I write a year-end summary at the start of the calendar year so that seems repetitive. How about a list of favorites places and experiences? No way, choosing favorites is nearly impossible. What about an informative post about planning, travel logistics, and finding the best ca….ugh, too boring. At one point I said something about how I didn’t feel inspired to write a big celebration blog post because this milestone doesn’t really feel like a big deal. Okay, so here is it. 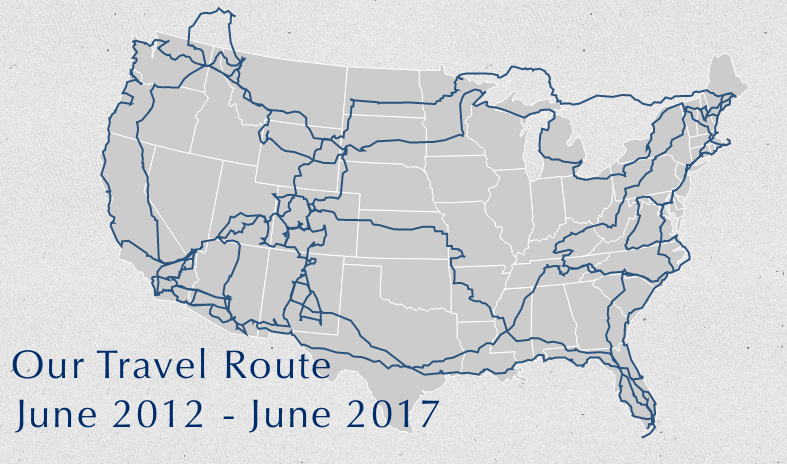 After five years of living full-time in our Airstream, visiting 43 states and staying in 364 different campgrounds, public lands, driveways and parking lots, it no longer feels like something to celebrate. Not because the past five years haven’t been amazing and life changing, but because this is our new normal. I’m not trying to come across as blasé or ungrateful about the past five years. Believe me, we are thankful every day for the new places, new people, and new experiences. Any struggles we go through or problems we encounter pale in comparison to the joy of discovering a new trail, new campground or new beach to wander down. Maybe the reason why we don’t feel the need to celebrate is that, in some ways, this is the year that we’ve become more settled into this lifestyle than ever before. In the beginning, we thought we would travel around for a few years, find a place we loved, and make a new home there. Five years later we realize we’re still not ready for that step. The house rental experience this winter was a nice break but it confirmed that full-time travel is still very much in the cards for us. With that said, the end goal remains the same. Someday we want to have a house without wheels, a yard with a garden, and a garage for projects. But whether that’s two years, five years, or ten years down the road, we don’t yet know. So here’s to our non-celebration/celebration of five years living on the road. Five years of saying no to conventional norms and making the most of our lives. Five years of personal growth, overcoming fears, trying new things, and making incredible new friends. Hmmm…I guess we do have something to celebrate. A big non-congratulations on five years of living your dream. I think living a regret-free lifestyle is a very worthwhile goal for everyone, how wonderful you’ve realized that in your first five years of travel. Enjoy every minute! Regret-free, I like that. I certainly feel like we have been living with greater intention these past five years. Instead of simply existing, we are making choices to live the best life we can. Hard to imagine giving that up. Congratulations! I can’t wait to retire and join you! I wish I had the ability to work on the road but so far that’s not in the cards for me. I’ll just keep following you for now! I’ve been reading your blog from the beginning, and it IS so hard to believe it’s been 5 years. I’m glad to hear that your short S/B stint this past winter has only confirmed that you’re not ready to settle down any time soon. I hope we make it as long (17 months so far), but my husband isn’t quite as committed to this life as I am. Maybe as the next few years go by, it will become his new normal as well. Congratulations! It’s a huge lifestyle change so it’s understandable to not feel committed at first. I struggled a bit the first year, and it really hasn’t been until this past year that I’ve felt truly settled. Thanks for following along all these years! 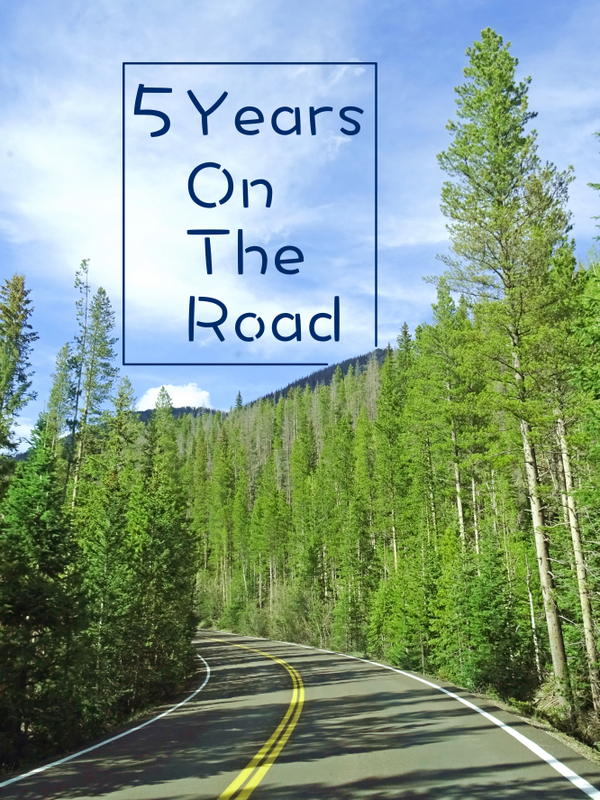 Cheers to your five years on the road, and to all of the adventures that lie ahead! 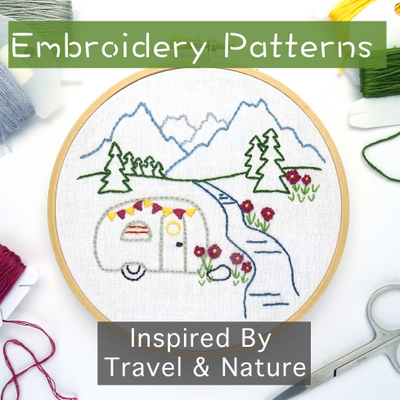 Thanks for sharing so generously with us through your excellent blog and beautiful photos. Our four year anniversary as full-timers is today, and we’re celebrating perched on a bluff overlooking the Pacific in Olympic National Park on a wonderfully stormy day. So much to be grateful for! Happy four years to you! Sounds like a wonderful spot to celebrate. We’re in our happy place in the Colorado mountains right now which makes this lifestyle feel even sweeter. Woohoo! You are just a few months ahead of us…we started Sept 2012. I’m glad our paths have crossed many times in the past five years! Cheers to the RV lifestyle! Hoping we’ll see you guys again this summer/fall/winter! Congratulations on your 5-year milestone. We will soon be celebrating 18 years on the road this summer and are still going strong. We weren’t retired when we started… Bill did computer programming contracts alternating with play periods, and I did temp jobs before getting involved with medical transcription out of the rig. Since retiring in 2012, we’ve volunteered winters at a wildlife refuge in NM and worked at the Yellowstone bookstores the last 4 summers. Now we’re playing all summer before doing an RV caravan in Australia and New Zealand and then more international travel and RV’Ing overseas the next few years. As we say, life is not a dress rehearsal… live your dreams! 18 years! That is so inspiring! I love how you’ve shifted your travel style over the years. I can see us doing that down the road. Caravanning around Australia & New Zealand sounds like a dream come true. Here’s to many more years of travel! Congratulations on 5 fantastic years enjoying life and making memories!! Wishing you guys many more wonderful adventures. Thanks for blogging and sharing! !